Last Friday wrapped up Team Life Science Week, which showcased the six Life Science Institutes. The week began with a “Tip Off” event where each of the Life Science Institute Directors gave a presentation on their respective Institute’s mission, past accomplishments, and future goals. The week continued with multiple activities sponsored by the various Institutes including seminars, training sessions, and social events. Due to feedback from PIDD’s town hall last semester, PIDD utilized Team Life Science Week to offer an information session presenting Purdue’s online PIVOT and iLabs programs. These programs assist faculty in finding potential collaborators, other faculty’s interests and additional funding opportunities (PIVOT), as well as guidance in finding campus core facilities including instrumentation and services available (iLabs). Thanks to everyone who attended/participated in these events. The full proposal can be downloaded here. Questions about the proposal can be directed to Karson Putt (puttk@purdue.edu) and questions about the facility can be directed to facility director Lan Chen (lanchen@purdue.edu). PI4D’s participation in the Team Life Science Week was focused on creating awareness of initiatives, programs and the resources available for investigators to succeed in their research. Director Richard Kuhn delivered a talk highlighting the leadership and various initiatives that continue to create opportunities for Purdue University at a regional, national and international level. A “Core Facility” scavenger hunt-like race was organized to make graduate students more aware of the various service core facilities available to help them in their research. 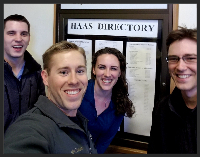 The intent was also to create a social media campaign element into the race by making participants post their images around various areas of campus on Facebook and Twitter using the hash tag #purduepi4d. The Purdue Lecture Hall Series continues to gain momentum for local high school students who come to hear current Purdue graduate students highlight their experiences and adventures in research, while also experiencing the university environment by meeting in different lecture halls throughout campus. We want to inspire local youth to consider Purdue University and a career in the life sciences. Graduate student Erin M. Kischuk from Dr. Tim Ratliff’s lab presented a seminar entitled “Targeting immune suppression in cancer”. This month’s talk brought 35 students out to LILY 1-105. We are planning our last talk of the semester, on April 19th by Kristi McElmurry a ROTC officer and grad student in Dr. Daniel Suter’s lab. This will end our series for the academic year. 2018 Biomedical Engineering and Interdisciplinary Biomedical Sciences Spring Research Symposium. PI4D Distinguished Lecture - On April 4, 2018 at 2:30 in MRGN 121, Dr. Eckard Wimmer from Stony Brook University will be visiting campus to present a seminar and meet with faculty. Title of his talk is "An Impact of de novo Synthesizing Poliovirus: Recoding Arboviruses for Vaccine Development"
Greetings! This past week PIIN hosted two successful events on campus, these activities were also part of the Team Life Science Week. On March 21st as part of PIIN’s Brain and Spinal Cord Injury (TBI/SCI) Seminar Series, Dr. Xiaoming Xu, Professor of Neurological Surgery, Anatomy and Cell Biology and Pharmacology and Toxicology, Indiana University presented his research findings in a seminar entitled "Combinatorial strategies for the protection and regeneration of the injured spinal cord". Such seminars illustrate PIIN’s effectiveness in creating collaborations between Purdue and Indiana University in the areas of neurotrauma and neurodegeneration. regional keynote speakers Dr. Donna Fekete and Dr. Richard Van Rijn, Purdue University, Dr. Jason Meyer from IUPUI and Dr. John Beggs from Indiana University. 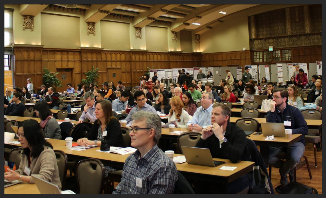 The event hit an all-time high of 252 attendees and 120 posters, mostly representing neuroscience research at Purdue University, Indiana University School of Medicine (IUSM), Indiana University Purdue University Indianapolis (IUPUI), and Indiana University Bloomington. Sponsors included the Society for Neuroscience, STARK Neuroscience Research Institute, Indiana CTSI, IUPUI-Department of Psychology, IUPUI- School of Science, Purdue College of Health and Human Sciences, Purdue Psychological Sciences, Purdue’s College of Pharmacy and Axion Biosystems, Inc. The Purdue Institute for Integrative Neuroscience was the platinum sponsor of this event. On behalf of PIIN, we want to thank you for making this year’s GISfN a success. We also want to thank Dr. Susan Sangha, Assistant Professor of Psychological Sciences and PIIN administrative staff Mrs. Julie Scott and Dr. Cinthia Sanchez for organizing the event. Dr. Zhongming Liu - Deep Residual Network Predicts Cortical Representation and Organization of Visual Features for Rapid Categorization and Electrophysiological Source Imaging: A Noninvasive Window to Brain Dynamics. Indiana CTSI is accepting proposals for theIndiana Traumatic Spinal Cord & Brain INjury Research Grant Program. To view a calendar of our events please our website. April 9: Karling LEcture: "Shaping and Signaling Mechanism of a BMP Morphogen Gradient"
April 10: Karling Lecture: "Seeing is believing: using zebrafish to decipher the cellular and molecular mechanisms of peripheral nerve regeneration"
DDMS Poster Session: We had eight posters presented that were then judged by the students and faculty in attendance. First place was awarded to Maie Taha for her poster titled “Development of Nanoparticles with High Drug Loading Capacity and Circulation Stability”. Dr. Sandro Matosevic gave a talk titled “Natural Killers are Made, not Born: Adoptive Cancer Immunotherapy with Reprogrammed Natural Killer Cells” in the Drug Discovery Conference Room. We are still taking applications for the 2018-2019 Seminar series. Go here for more information. You can download the speaker nomination application here. Next in Cancer Center Seminar Series - April 5: Dr. Rong Huang, Associate Professor, Department of Medicinal Chemistry & Molecular Pharmacology, Purdue University, will be giving a talk titled “Discovery of Selective Inhibitors for Protein alpha-N-terminal Methyltransferases” at 11:30 AM in the Drug Discovery Conference Room. April 12:Dr. Kun-Liang Guan, PhD, Department of Pharmacology and Moores Cancer Center, UCSD, La Jolla, will be giving a talk titled “Hippo pathway in cell growth, organ size, and Tumorigenesis” at 11:30 AM in the Drug Discovery Conference Room. Congratulations goes to Yao Chen, a PhD student in statistics, who is the winner of the RCHE hackathon competition for Life Sciences Shark Week. Participants were asked to develop a method to classify Atrial Fibrillation from a given set of ECG waveforms. 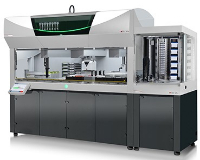 Yao was able to develop a method that achieved 94% accuracy and 88% sensitivity on the test set. Please Save the Date: RCHE will host a faculty networking reception on April 11th from 3:30-5:00 pm on the 2nd floor atrium of MANN. Please come and meet other researchers with interests in health care and learn about upcoming plans for the Center. Please RSVP here. Please Save the Date: Dr. Padma Raghavan, Vice Provost for Research and Professor of Computer Science and Computer Engineering at Vanderbilt University will give the RCHE Distinguished Seminar from 9:30-10:30 am on April 24th in Lawson B151. Details will follow in the next newsletter.